Ken Sheets is Of Counsel with Kenealy Vaidya LLP. His practice includes assisting clients in protecting their intellectual property portfolios and counseling clients on a variety of intellectual property matters. 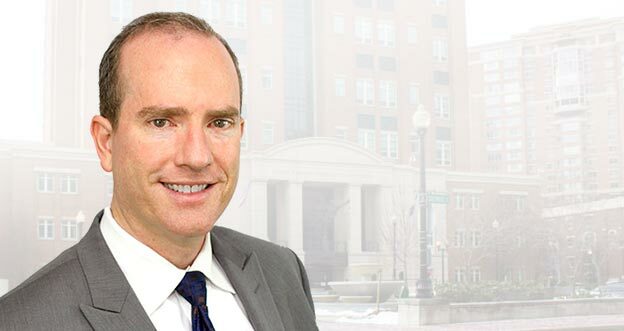 He has extensive experience in patent prosecution, post-grant proceedings, opinions relating to patent validity and infringement, IP asset management, and patent infringement actions before a variety of federal district courts and the International Trade Commission. Mr. Sheets has experience with numerous technologies including computer software, digital signal processing, broadband and cellular telecommunications, network management, and manufacturing equipment. Mr. Sheets graduated with a bachelor of science degree in civil engineering from the University of Oklahoma in 1993, and is currently pursuing a bachelor of science degree in electrical engineering. He received his law degree from the University of Tulsa in 1999, and is admitted to practice in Virginia and before the U.S. Court of Appeals for the Federal Circuit, the Court of Appeals for the Seventh Circuit, the Eastern and Western District Courts of Virginia, the Northern District of Florida, and the US Patent & Trademark Office. Mr Sheets was previously the global intellectual property manager for CPA Global, a leading international legal services and software corporation. As head patent counsel, he was responsible for all areas of intellectual property management, IP related disputes, litigation, and M&A matters. He also developed and implemented an innovative in-house portfolio management system utilizing a successful outsourced patent practice for new patent application drafting, filing and prosecution. Mr. Sheets has extensive experience in patent prosecution, post-grant proceedings, opinions relating to patent validity and infringement, IP asset management, and patent infringement.